The month leading up to Halloween is filled with the chill of fall air and stockpiling bite-size candies to hand out to children. Everybody loves getting “spooky,” especially major brands. Once September rolls around, some brands focus their product mix and advertising on pumpkin-flavored products, while others choose to mix up their communication practices with creative and scary advertisements. But do scary campaigns really have a purpose beyond inducing panic and nightmares? The answer is resounding “yes.” Ads that capture consumer attention drive growth and strengthen relationships, and they can make people feel something on an emotional level – the goal for all marketers. 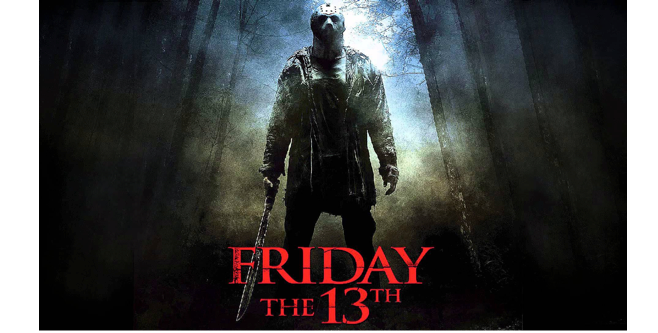 “Friday the 13th” movies were so successful in theaters. Even if we sense outright fear, the human brain commits strong emotions and their associated experiences to memory. This is how consumers can feel a connection, even nostalgia, towards scary media. For companies, scary advertisements capture more attention than those focusing on product benefits alone. Once a scary experience occurs, the brain recognizes the emotional shift toward terror and then records the memory for future retrieval. This subconscious process began evolutionarily with cave people understanding that the roar of a lion meant impending danger, compelling them to run fast in the other direction. This mental shortcut proved valuable in helping to escape danger by heightening awareness, focusing attention, and increasing reaction time. Today, creative departments for major brands have tapped into the same psychological components to spice up advertisements leading up to Halloween. In 2014, IKEA Singapore and BBH launched a “haunted” campaign that was modeled after a famous scene from “The Shining”. BBH brilliantly recreated the tricycle scene in which the young child navigates the hallways until he reaches the suspenseful climax of meeting two similarly dressed people blocking his path. In the movie, these people were the ghosts of past hotel guests. In the commercial, they were his parents calling him over to the checkout line. Creating heightened levels of suspense works brilliantly for advertisers when executed correctly. The fright-filled nature of Halloween-themed advertisements offers creative minds the ability to flip traditional advertising on its head and create a memorable scene that ensures the brand is the center of at least one nightmare during the run of the campaign. Psychologically, the same part of the brain that guides the “fight or flight” response regulates our responses to fear. Just as the mind can go from seeking a fright in one instance, it can go “on guard” with similar features to the ones listed above based upon past experiences that have been committed to memory. IKEA is not alone in leveraging Halloween advertisements to build brand awareness and recall. Brands like Dirt Devil use scare tactics to differentiate itself from competitors in the traditionally functional space of vacuum cleaner advertisements. By borrowing artistic elements from Hollywood, Dirt Devil was able to showcase the power of their products’ suction in the context of a parody of a scary film. Not only did the advert capture attention and build suspense, but it also ended with a comedic spin on a classic special effect laden ending. Similarly, Nike tapped into the slasher-movie culture by debuting their ad titled “Horror” during the 2000 Olympics. This ad featured a young woman, alone in an empty house, being stalked by a masked serial killer. After a brief foot pursuit through the dark woods, the young woman is able to outrun her attacker…due to her superior shoes. At the end of the day, Nike’s scary tactics paid off. Thousands of viewers saw the ad live, and another million heard about the spot in the days after. As we can see from Nike, IKEA, and Dirt Devil, advertisements that capture attention and pique interest through the use of horror-themed plot lines tap into the deeper level psychological processes that are attractive to watch and become memorable for years to come.